In the hospitality industry, cleanliness and appearances are everything. Your establishment relies on a quality floor system that can withstand the daily foot traffic while providing an ideal shine that is free from mold or grime. 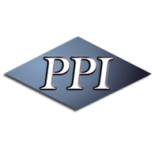 No matter your business’ style or goals, PPI Flooring of Orlando is here to help! As a professional in the hospitality industry, you want to give the best service to your guests in every way possible. From outstanding customer care and cleanliness to a degree of professionalism that your competitors cannot match, there are a number of reasons why providing your guests with the best experience possible can help to improve customer retention, further increasing your bottom line. However, what you may not have considered, is how your business’ physical appearance can influence your customers’ perception on a daily basis. With epoxy flooring from PPI Flooring, you can be confident that your business’ floors speak to your professionalism just as much as the services that you provide. Slip-and fall-accidents are a sad reality for those working in the hospitality industry. But with PPI Flooring’s non-slip epoxy floors, it doesn’t have to be. By choosing the top flooring solutions from our Orlando-based team, you can effectively reduce your liabilities, saving you from the stress and concern of lawsuits or workers’ compensation. If you are thinking about having your floors resurfaced with epoxy flooring, then don’t choose just anyone for the job. Choose PPI Floors, Orlando’s flooring company. We have helped a number of Fortune 500 companies, and we’re ready to help you, too. No project is too large, and we even provide no-obligation, no-hassle project quotes for your convenience. Reach out to our team of professionals today to learn more!